WordPress is open source software that is available as a free download. WordPress is one of the most popular open source software available for a content management system. This is a versatile software and can be used for many other purposes besides a content management system. As it happens, WordPress was released more than 20 years ago. It was initially only a blogging software which has slowly evolved into a robust content management system. There have been many more versions of WordPress released since then and the number of features has increased tenfold. In addition to which there are many plug-ins available. Hence it is now possible to use WordPress for many different types of Websites. WordPress has many good features that help make it a good content management system. Here are a few good reasons why it is one of the most popular content management systems. 1. WordPress is very easy to use and does not require programming knowledge in PHP to setup and configure. 2. The admin interface is very easy to learn thus making WordPress one of the easiest software to manage. 3. This is one software that has a very large community following. Since there is a large support it is easy to find help if required. 4.WordPress has many plug-ins available for a content management website that enhance its basic features. 5. WordPress has very good features for a content management system like allowing users to create posts and pages on the website along with features for multiuser capabilities admin, author, editor, etc. WordPress is in high demand and a very high percentage of website online have been developed using WordPress. There are no eCommerce features in WordPress itself, however there are several plug-ins that can transform your WordPress website into a full-fledged eCommerce website. One of the most popular plug-ins is WooCommerce. There are many eCommerce open source software, in-spite of which WooCommerce for WordPress a highly popular eCommerce software. The main advantage of using WordPress as an eCommerce website is that there is a blog to enhance the website and a content management system too. WordPress is a robust content management system; however, it wasn’t so to start with. WordPress was first one of the most popular blogging software around. WordPress has evolved into a very good content management system now and it has a blog built-in as well. It is highly customizable and the features can be added via the plug-ins. SEO is very important for any website. The fact that the search engines love WordPress and that it has many SEO tools built in is a big advantage too. WordPress is a very feature rich software with a built in blog and robust content management system. Besides this, it is possible to install plug-ins to enhance the functionality of the WordPress website. There are many plug-in available that can transform your website into eCommerce website, a social network, a forum, and more. Besides being able to use plug-ins to transform website the way you require, it is also possible to customize WordPress to develop a special purpose website for your unique requirements. 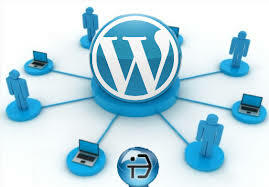 WordPress allows you to develop plug-ins for the website and gives full control to the developer. What this means is that it is possible for an experienced developer to create a plug-in that matches your every requirement. Alakmalak is a WordPress Development Company and has developed a great number of websites over the years. They are involved in custom WordPress development as well. Their strong team of skilled IT professionals makes use of state of the art facilities and good infrastructure to deliver the websites timely and make sure they are of good quality. Our high client retention ratio says a lot about our work. How to converting your business website into responsive design ?